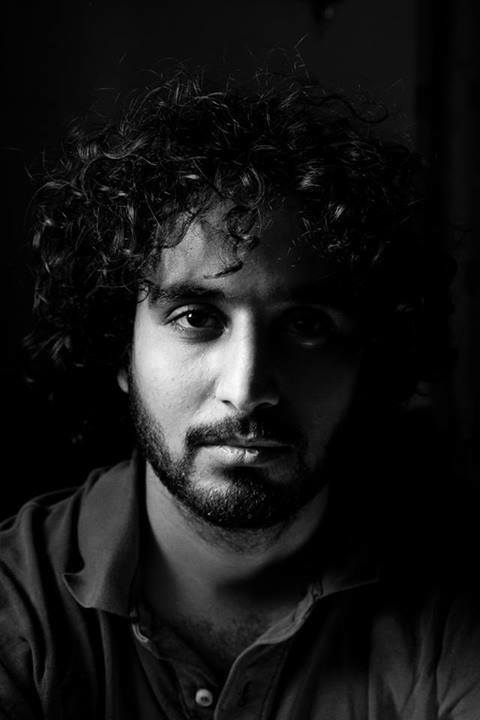 Originally from Dhamar, a city in Yemen where he spent his early childhood before moving to the capital Sana’a, Murad Subay is an artist residing in Yemen with a bachelor degree in English Literature from Sana’a University. With brushes and colors, he chose to turn the walls of the streets into an open art gallery where hundreds thousands of people walk by every day. His approach toward art is diffirent as he decided not to work alone; rather he usually paints in the streets along with fellow artists, friends, passerby and anyone who wants to join. No background in art is required for people to join, for he believes that there is an artistic side in everyone and that holding the brush and color might awaken that side. He also believes in the importance of giving people the chance to express their feeling and ideas through art, and to express their own opinions around the political and social issues of their country. People from various ages, genders and backgrounds have joined him since the start of his first campaign. The artistic inspiration began at an early age for Murad, where he started painting at the age of 14 after he received an encouragement from his family when painting his first artwork. After that, he taught himself art for he never got the chance to have a formal education in this area at college or art institute. Although he made it this far without a specialized education in art, he still believes that his techniques and skills are humble and in need of refinement, and so receiving a formal education in art marks one of his priorities. Mostly known as a street artist, Murad has launched five street art campaigns since 2012. Some of these campaigns are of a merely artistic nature, and the others are of a political one. He uses different techniques in painting that ranges between the use of brushes, stencil, wheat paste, and mixed media. He also painted in different cities in Yemen, Milan, and in London as well. Murad launched his first artistic campaign “Color the walls of your street” in 2012, right after the revolution and the conflicts that followed in 2011. Then he launched his second campaign “The Walls Remembers Their Faces” two months later. His third campaign “12 Hours” was launched in 2013 and the fourth one “Dawn Sculptures” in early 2015. After the regional and internal conflicts broke out in Yemen in the first quarter of 2015, Murad decided it was time to launch the fifth campaign “Ruins”. So far, he received two shields, two awards and a certificate of appreciation. The “Innovation Shield” was awarded to him from the American Islamic Congress Organization on March 6, 2013, for his work on the forcibly disappeared case. The “Youth Shield for Creativity” was awarded to him by the Yemeni socialist Party, on June 19, 2014 for his work on the first three campaigns. He received the “Art for Peace” award on November 14, 2014 from Veronesi Foundation, which is an Italian Foundation that awards one artist each year for their artworks that promotes peace in the world. He received this award during the sixth international conference “Science for Peace” that was held in Italy on November 2014. He also received a “Certificate of Appreciation” from the ESCWA on February 20, 2015. Lately, he received “The 2016 Freedom of Expression Arts Award” on April 13, 2016 by Index on Censorship organization in London, UK.